to the official home of the Western Australian All Ford Day. 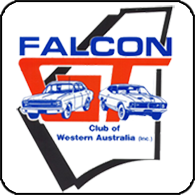 These annual events are proudly organised and presented to the motoring public by the Falcon GT, and Mustang Owners, Clubs of Western Australia. now available. Images in Galleries. Enter Online now or download an Entry Form and post it in. Poster to share with friends.